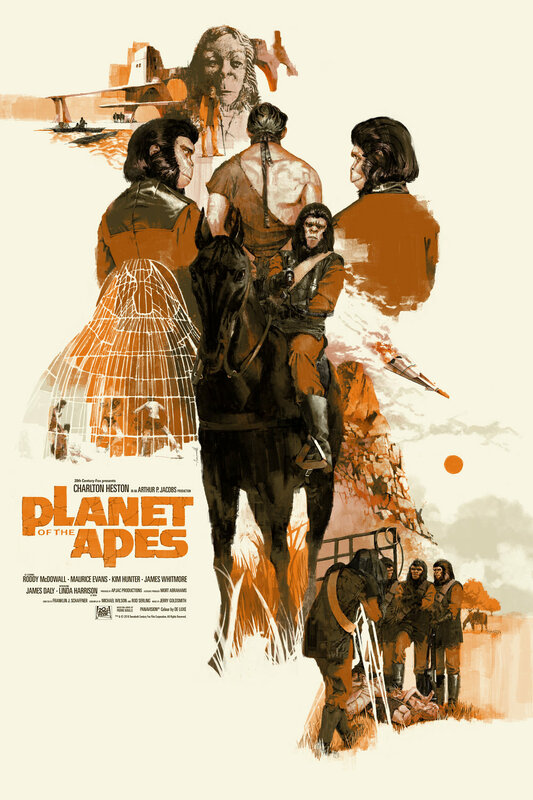 In collaboration with Mondo and Alamo Drafthouse San Francisco; I was asked to create a limited edition poster for a one night only screening of the original 1968 classic; Planet of The Apes. I decided to go full 60's cinema and work up a movie collage of mini scenes of iconic imagery from the film. 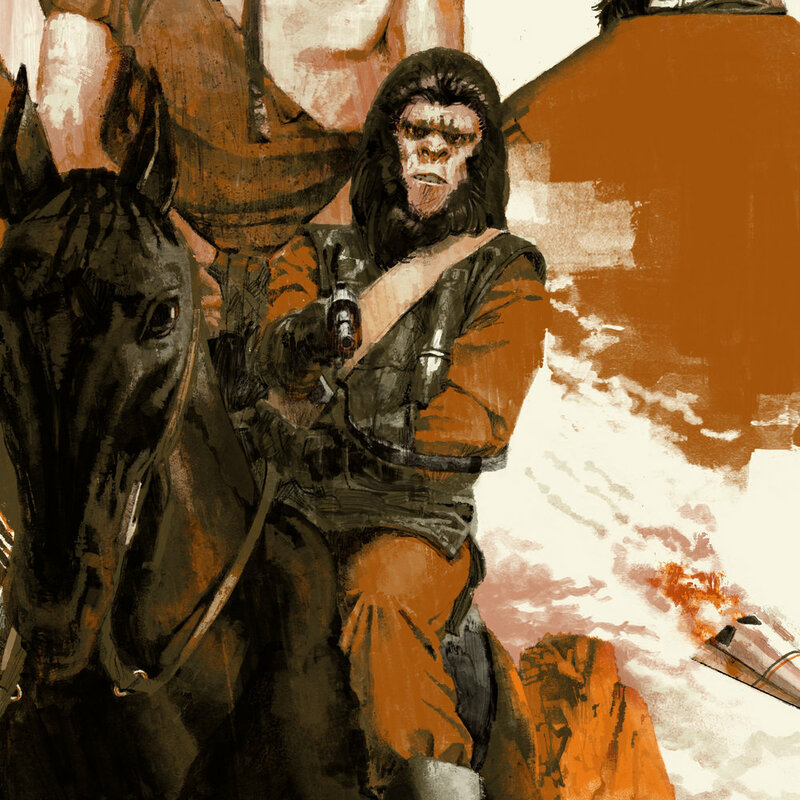 There was no license for Charlton Heston's likeness so had to get a little creative in how he was used! I created a custom treatment of the original logo; nodding to B-movie-esque type treatments and then Jay Shaw expertly took care of the credit block.